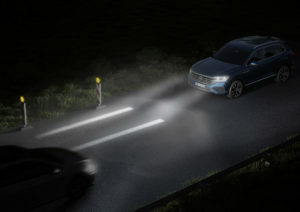 Volkswagen last month announced it was researching headlights which could communicate information to others sharing the road and help the driver navigate lanes. The OEM’s global media site wrote Oct. 17 that the company was in “predevelopment” of micropixel LED headlights that could allow “light control that is individually adapted to the respective driving situation, interactive light projections onto the road and a high degree of individualisation.” Volkswagen wrote that the lights could receive new features over-the-air with an app. 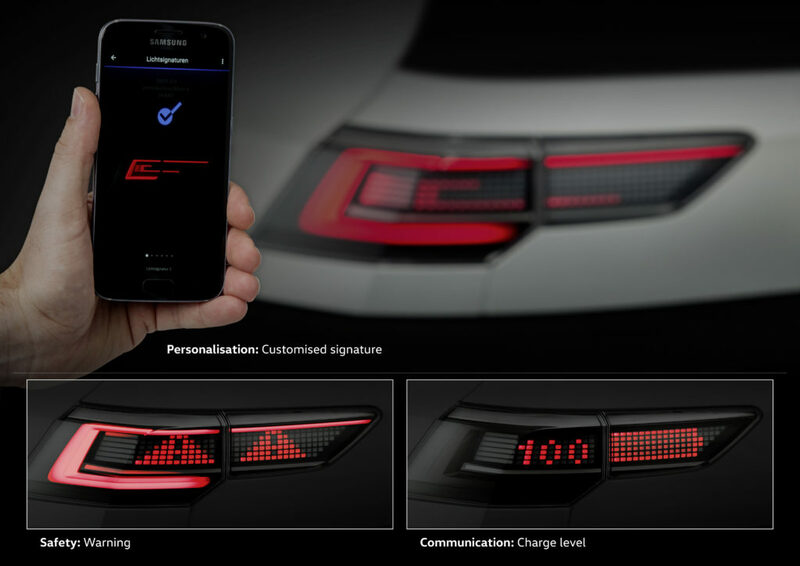 “This means that the entire basic light can be covered with a matrix and is available for the application of intelligent lighting functions,” Volkswagen wrote. 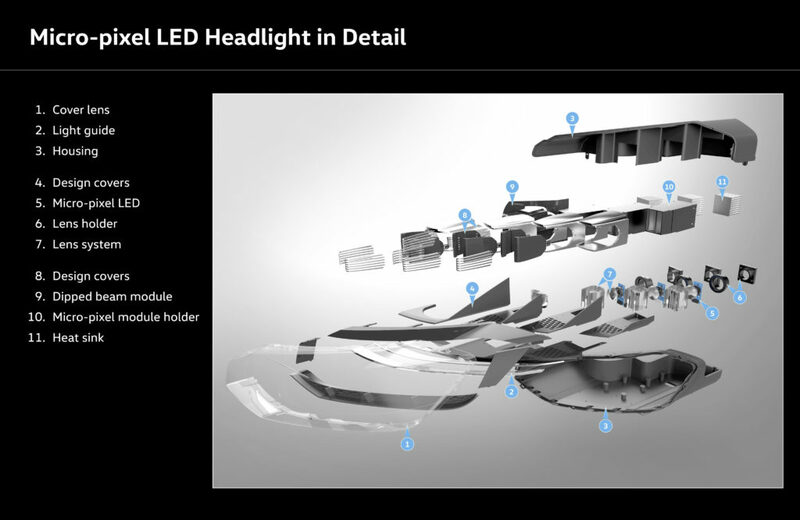 Volkswagen wrote that the headlight had a large LED module for static lighting and three outer lenses which can project the micropixel designs. 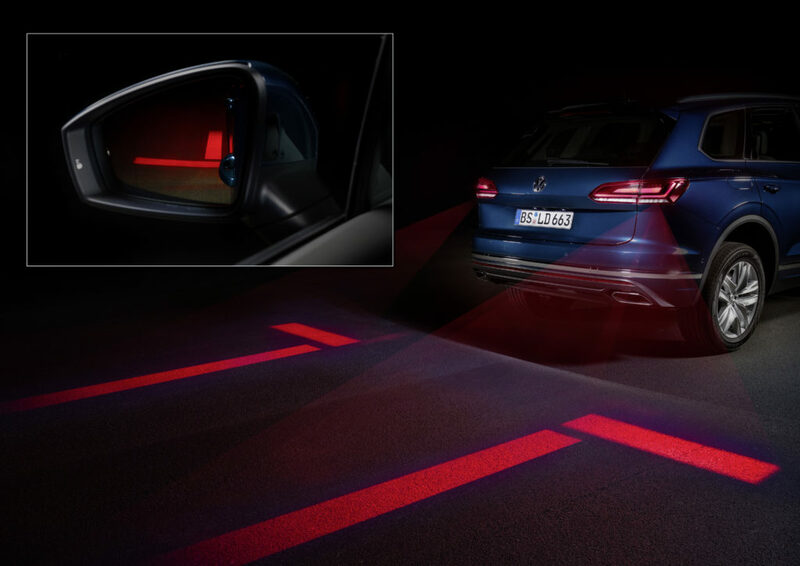 Volkswagen also said a “Optical Park Assist” feature built into a taillight with microlenses could potentially display a parking vehicle’s path for others nearby, and warnings could be built into taillights with “(m)atrix tail light clusters” to signal other drivers in situations like the back of a traffic jam. “The assisted driving cars of tomorrow will confront road users with new everyday situations – such as a lack of eye contact with drivers,” Volkswagen wrote. The automaker said it can develop lighting technology and get it to market more quickly with its 328-foot-long, 49-foot-wide light tunnel at its Wolfsburg, Germany factory. If these headlights do come to market, they’re likely to be pricier for a shop to replace than the boring old bulb-based lamps of the past, at least at first. They also might create new calibration demands. However, it seems like they might also cut crash frequency. This certainly seems like a piece of tech to watch for body shops given the overall auto industry trend towards LED lighting.